On June 13th, 2014 this Blog was 10 years old and I’m giving myself a pat on the back. I remember that June Sunday evening well, sat in my apartment in Chicago juggling with Blogger’s idiot-proof yet bewildering templates to pen my first post. Only the venerable Professor Wyn Grant has being blogging Charlton longer, although Daryl, the original inspiration for me to start still writes intelligent and punchy words here at 853. As others will tell you blogging is often a labour of love and can be equally time consuming and frustrating. It has never been a chore though, otherwise I would have stopped. Writing has always been a release, and despite many bumps in the road, I have selfishly pushed on, writing almost 3,000 posts in the process but always taking great delight in knowing that many of you stop by to read my latest ramblings on whatever pops into my mind and not just the trials and tribulations of Charlton Athletic. For me this Blog has been a diary, a friend and a refuge. I started it as a single bloke, living in the wacky, yet inspirational country of America, and it has followed me to the beautiful yet often peculiar island of Bermuda, now with a family for company. Always with Charlton at the heart of it, but also a place where I have chronicled the past 10 years of my life. The look is different, I moved to the much more reliable WordPress in August 2010, but the aspirations haven’t changed, even though Charlton were conjuring with summer transfer rumours of Dennis Rommedahl and Mateja Kežman in 2004 and not unknown Belgians. Anyway, I want to thank you for continuing to read my musings, whether you stumbled across me 10 years ago or 10 minutes ago and the Blog has become such a part of my life that I plan to be here for the next 10 years as well. The year 2014 also coincides with my 40th year of supporting the Addicks, a love affair that has outlived everything else in my life except for the love I have for my parents and my younger brother. I have written numerous times before that the prelude to my Charlton initiation was the 1974 World Cup in West Germany, although my earliest football memory was the 1973 FA Cup Final. I can see now Bob Stokoe running across the Wembley pitch, but it was the festival of televised summer football in 1974 that took this 7-year old’s breath away. The East and West Germans in the same group, the free-scoring Yugoslavians, the famed Brazilians, the Polish under dogs, who did for England, and the beautiful total football of the Dutch. Not forgetting the added romance of Zaire and Haiti, who had me searching through the encyclopedia. Therefore to celebrate my 10 years of blogging and my 40 years of love for the beautiful game, I wrote six lengthy posts on the 1974 World Cup as a little warm-up to the 2104 World Cup in Brazil. Part 1 – West Germany are chosen as 1974 hosts. Part 2 – A look at the 16 nations that qualified. Part 3 – The opening round and the clash between East and West Germany. Part 4 – The 2nd Round that will decide the finalists. Part 5 – The sights, the sounds and the back stories. 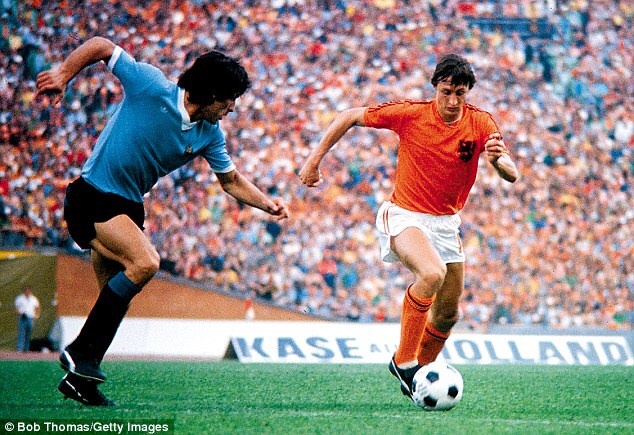 Part 6 – The Final between West Germany and The Netherlands. Thanks again for reading and especially those that comment, some of whom I have got to know personally and call friends. It means a lot. Thanks Dennis. Bermuda is very expensive. Mostly because of the duty tax that is incorporated in everything you buy as almost everything is imported. A large price to pay to live in paradise! Thanks for your kind words on the Blog. COYA. Nothing to do in Bermuda? Enter your email address to subscribe to this blog and receive notifications of new posts by Aemail.